This week's blog post is contributed by guest writer, Kelly Frey. Kelly is the Sales & Marketing Intern at NaviStone and a student at the University of Cincinnati, Carl H. Lindner College of Business. She is also a proud member of Generation Z. Growing up in a generation where any information I need is at the tip of my fingers, I find it fascinating what marketing tactics truly influence my buying decisions today. According to Forbes.com, Americans are exposed to approximately 4,000-10,000 ads each day with most of these advertisements coming from various digital platforms. This means that there are 4,000-10,000 companies trying to sell me something every 24 hours, and the truth of the matter is that 95% of the time, I do not end up making a purchase due to this online ad I was exposed to. If you are like me, Gen Z or not, you too have recognized these cleverly placed digital advertisements and have begun to screen them subconsciously without even being aware. Many people have started ignoring these brands and advertising messages due to being overexposed to them as a consumer and seemingly have become “numb” to the bait advertisers are constantly dangling in front of us. According to CNBC, “Generation Z is likely to avoid advertising by using ad blockers and skipping content.” So, what’s the solution to capture the consideration of people who grew up in this generation? As a 22-year-old Gen Z myself, there is one marketing channel that still gets my attention each day. This is direct mail. These physical pieces of mail that I get from my mailbox every afternoon are guaranteed to have my eyes at least skim over it before I decide to read or toss. Hard to believe? The Direct Marketing Association (DMA) did a study which analyzed data from Bizo and Epsilon and ultimately found that direct mailing campaigns achieve a 4.4% response rate, compared to 0.12% for email. Overall, they found that direct mail's response rates are anywhere from 10 to 30 times higher than that of digital. For me personally, it comes down to trust. A study conducted by the UK Royal Mail shows us that 71% of people are more likely to trust advertising mail. Why is this? Physical mail brings a sense of value to their consumers that online advertisements are just not achieving. 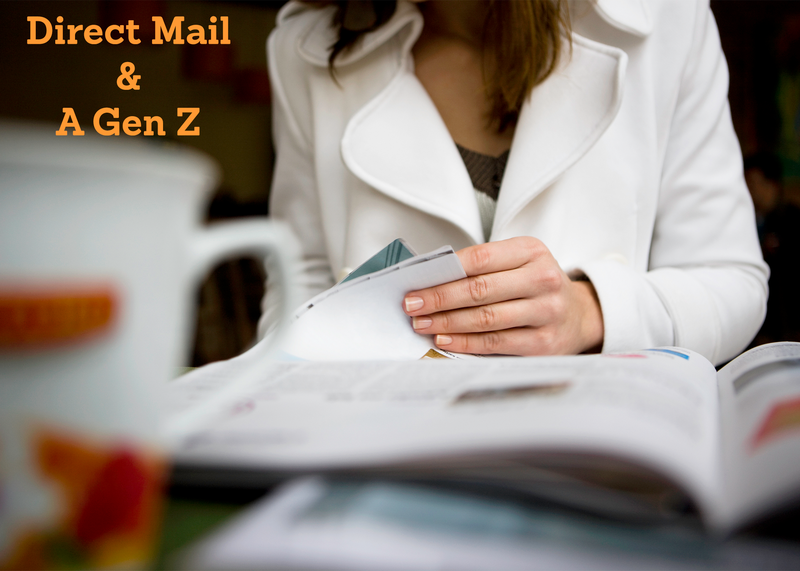 According to the same study, 57% of people feel more valued when they receive a piece of mail vs. an email. I have found this true for myself personally. Receiving an email from a company trying to sell me something either ends up in my spam folder by default or is at the risk of me deleting it before even opening. Direct mail seems to be the only solution for this very relatable issue. I currently am subscribed to receive Ulta’s weekly catalogs with deals and news which I am loyal to sift through each time I receive it. I know that my trips to Ulta typically can overwhelm me with all the different brands I see within the aisles during my trips, but I believe the coupons I received physically in the mail remind me to make specific purchases I would normally forget to do without the physical ad. This is just one example of the many that validate the purpose of direct mail and why it is still relevant in the fast-evolving data-driven world we live in. At the end of the day, yes, I am a Gen Z who enjoys social media and all the amazing things the digital world has to offer me, but one thing is for sure: when it comes to capturing my attention as a shopper, there’s no need to reinvent the wheel. Direct marketing tactics have proven to grab any generation’s attention and make the most impact on their purchasing experiences.